In a move aimed to bolster private-sector growth in 2018, Saudi Arabia unveiled a SR72 billion ($19.2 billion) programme, with money to support housing construction as well as fee waivers for small businesses, Commerce and Investment Minister Majid Al-Qasabi said. 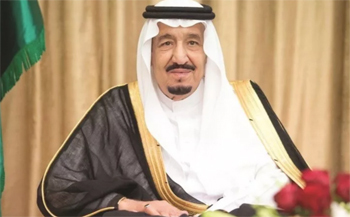 Saudi Arabia’s King Salman bin Abdulaziz Al Saud issued a royal decree approving the private sector stimulation plan, said a Saudi Press Agency report. The package, part of a four-year stimulus programme announced last year, contains 17 separate initiatives the government hopes will result in direct and indirect job creation, Al-Qasabi said in Riyadh. It’s a key component of the kingdom’s Vision 2030 economic-transformation plan. The private sector stimulation package aims to strengthen competitive capabilities of a number of segments of the national economy, develop its outcomes as well as improve business and investment environment and facilitate their implementation in the country under the Vision 2030, the report said. Saudi authorities are trying to revive an economy battered by the slump in crude prices and government spending cuts, which caused non-oil growth to stagnate. To wean the kingdom off its dependence on fossil fuels, Crown Prince Mohammed bin Salman bin Abdulaziz is opening up mining, logistics, tourism and entertainment and other industries to investment. Under the direction of Al-Qasabi’s ministry, the government is also drafting new laws to attract capital. Al-Qasabi said the stimulus package includes SR21 billion for housing and SR14 billion for efficient home design and engineering. An additional SR5 billion will go toward an export-import bank. The government also will reimburse fees paid by small and medium-size businesses for a period of four years and selectively provide other breaks to incentivise job creation, the minister said. Saudi Arabia has one of the world’s highest youth unemployment rates, and Prince Mohammed had made reducing it one of his priorities. The stimulus package is but one part of the grand plan to turn Saudi Arabia into a modern, globally competitive economy. Another is legal reform. Saudi Arabia, for example, has never had a comprehensive law governing bankruptcies, leaving both borrowers and creditors in limbo. Al-Qasabi said he expects a bankruptcy law to be in place in about three months and separate laws for commercial asset-based financing and franchising within six months. The Shura Council, an advisory body, passed a draft bankruptcy law, in November 2017. • Building technologies stimulation initiative – SR13.87 billion. Meanwhile, Saudi Arabian General Investment Authority (Sagia) has launched a new licensing service targeting entrepreneurs and innovators around the world enabling them to benefit from various business incubators, research centres and small and medium enterprises (SME) services offered in the kingdom. This step will further incentivise and encourage entrepreneurs and support them to launch new businesses, it said. Engineer Ibrahim bin Abdul Rahman Al-Omar, Sagia Governor, confirmed that this service will contribute in supporting innovators locally, regionally and globally, while Sagia will continue its efforts to reduce obstacles and difficulties that may face the entrepreneurs in setting up their projects. Al-Omar said the decision includes granting a licence to entrepreneurs wanting to establish projects in Saudi Arabia that are approved by Saudi universities or business incubators inside the Kingdom. “All the entrepreneurs have to do is submit their articles of association of the company and an acceptance letter from a Saudi university or one of the approved business incubators,” he said. Apart from nationals, other residents of the kingdom will also benefit from this initiative, according to Al-Omar. The same conditions apply to them too and, in addition, the entrepreneur will need to provide a no objection letter from the employer/sponsor. Sagia, in collaboration with the Small and Medium Enterprises Authority (SMEA), will support pioneering projects in the kingdom in order to boost the private sector’s contribution in the national gross domestic product (GDP), he added.